The SUREswivel is an innovative new product designed for those times when tethering is necessary to ensure your pet’s safety. A trip to the park, at the campground, or even in your front yard, the SUREswivel is the solution. 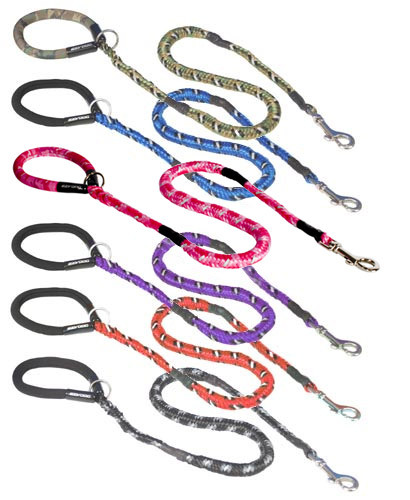 Set up the SUREswivel in a debris free area and your pet can move freely in a tension free radius and you can rest assured that the tether will not twist and tangle. The SUREswivel is also extremely durable and will not break even under extreme circumstances. The SUREswivel is made of a high quality mix of nylon and fiberglass strands. This product is proudly manufactured in America. SUREswivel can be used in a wide range of applications. As well as being used in the ground, it can be permanently mounted to a deck, used at the duck blind, in mobile applications like the back of a truck, and is even trusted to be used in professional training applications. 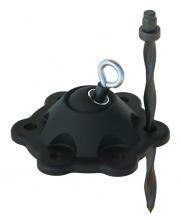 SUREswivel’s rugged construction allows it to be used in temporary and high stress permanent applications. Snuggle up to these impossibly soft yet durable toys! These cheeky friends are lined with an extra layer of fabric. 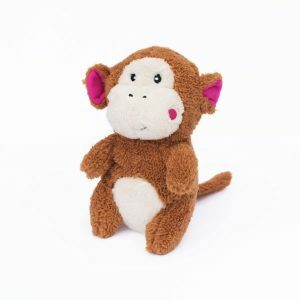 Each toy has a unique squeaker sound – the Monkey “whoops”!